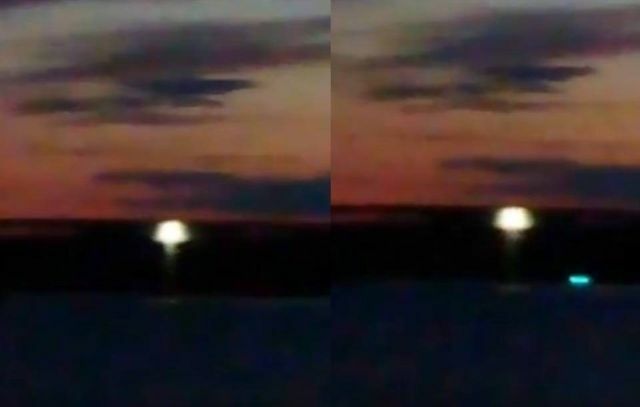 On their way home two friends noticed a bright light above Lake Mälaren in Strängnäs, Sweden on June 10, 2018. Misha who has filmed the object, for about 7 minutes before it disappeared, said the object made no noise and it looked like it sucked water from the lake. The shortened footage shows a bright light above the lake, a reflection of the light is seen on the water, as well as a strange blue object. A bridge is visible in the background.